Mon., Aug. 7, 2017, 11:28 p.m.
⚾️ Inducted into Hall of Fame with 98.2% vote in 1999. ⚾️ Career .305 hitter (3,154 hits – most all-time by a third baseman and 16th in MLB history), 317 home runs, 201 stolen bases, .369 career on-base percentage and 1,595 RBIs. 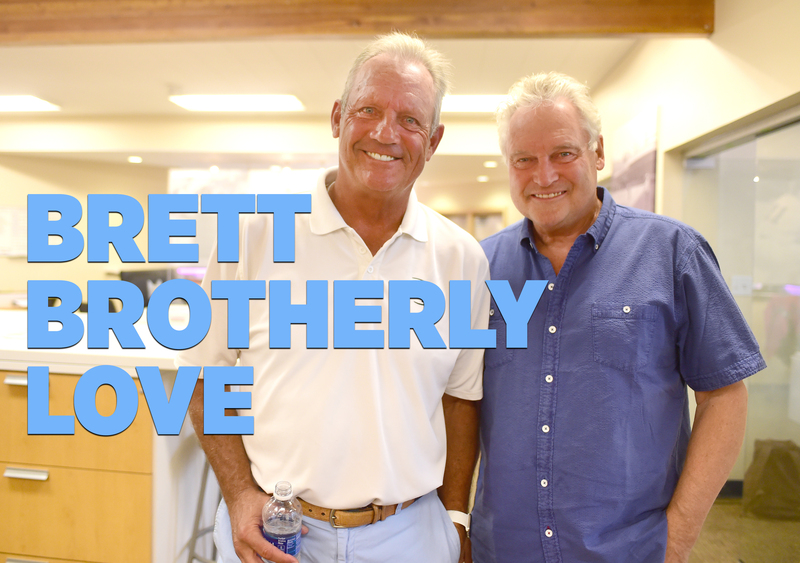 George Brett knows the heat. As one of baseball’s all-time greatest hitters, and the only player in history to win a batting title in three different decades, the Hall of Famer has hit some of the game’s best fastballs. Except that’s not the kind of heat we’re talking about. We’re talking about 100-degree days layered with the kind of humidity that makes you sweat just by thinking about it. Brett loves his adopted hometown of Kansas City, but it’s exactly those sort of painfully hot August days that make him crave visiting Spokane this time of year. He loves it so much that when you hear him talk about it, you wonder if he could be the new “Visit Spokane” spokesperson. Only things didn’t go according to plan this year. This week, it’s beyond beautiful back in the Midwest — 80 degrees during the day and 60 degrees at night. And here in Spokane? Well, it’s a little closer to 100 degrees than any of us would like. “But at least there’s no humidity,” he said with a huge laugh before the Spokane Indians’ game against the Eugene Emeralds. You see? Even when it’s hot, he makes this place sound great. “I love the Pacific Northwest,” Brett said. His brother, Bobby, has a ranch in the area that he loves to visit. He loves to fish. He played golf on Monday in Coeur D’Alene and even took a boat ride around the lake. It’s not hard to believe. We all live here for a reason, and Brett basically just outlined the case. The harder part to understand is how a family of Baseball Royalty firmly rooted in Southern California would end up back in the minor leagues … only this time as owners. 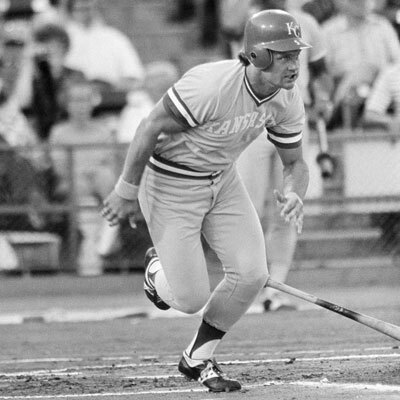 When the Bretts bought the Spokane Indians in the mid 1980s, George was a part of Kansas City’s first World Series championship team. John Brett was a real estate contractor in Manhattan Beach. Ken Brett was a television broadcaster for the Seattle Mariners and Anaheim Angels. And Bobby — the businessmen in the family — helped run the teams. This was long before the Spokane Indians would become one of the top-drawing teams in short-season A ball. Professional baseball in Spokane, despite having arguably one of the greatest minor-league teams of all team — the Dodgers’ 1970 triple-A team — stumbled through decades of financial problems. In some ways, they bought the team because they thought it would be fun. It was a little weird. They all agree on that. But also fun. Really fun. More importantly, they all believed Bobby could make it work financially. Three decades later, it is working. And more than just as an excuse for an annual Brett family reunion. Though that’s a pretty good excuse for owning a team or two in Eastern Washington. The Indians are now considered one of the gold-standards in minor-league baseball. A team that was bought was for less than $150,000 is worth probably closer to $15 million today. Part of that has been improving the team’s relationship with the community. But it really meant working as partners to continually improve the county-owned Avista Stadium to make it a place that generations would want to spend a summer night together watching the National Pastime. Even after playing baseball in some of the game’s greatest cathedrals, George has a soft spot for Avista. “When you come to Spokane and you see the boxcar out there and the condition of the field and the whole setting, I think it’s one of the most beautiful minor league ballparks that I’ve been around in years,” Brett said. So much so that there are basically two teams he checks on his phone each morning — the Kansas City Royals and the Spokane Indians. All of this makes Bobby smile as he hears it. Sometimes George will ask his brother questions about the team. “So that it sounds like he knows what is going on,” Bobby says with a laugh. “But George is so busy with things in Kansas City with the Royals. He’s got three boys. He likes to go on vacations and he’s a member of the Hall of Fame. Even when it’s hotter in Spokane than it’s supposed to be. And as long as it keeps the Bretts coming to the ballpark together. Published: Aug. 7, 2017, 11:28 p.m.